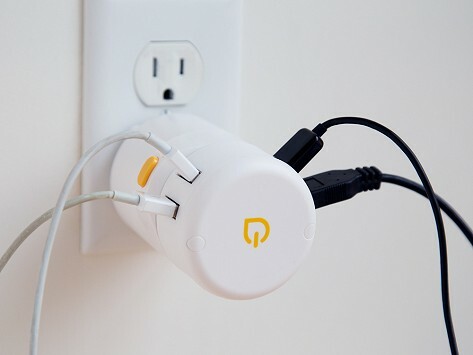 The TWIST World Charging Station works as a stand-alone international charging station. 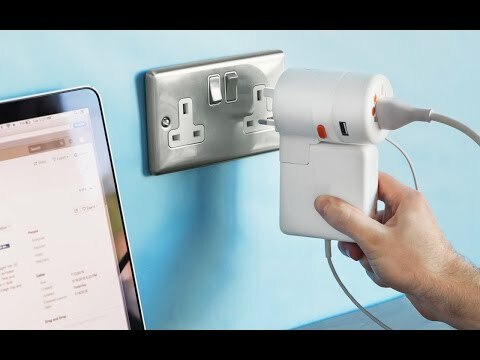 Rather than pulling out a multiple chargers to charge your iPhone, iPad, smartphone, or tablet, twist to select the local plug and power up to four devices from one outlet. Dimensions: 4.6" x 5.3" x 2.4"
Used it in three countries over the last week and it works great! International traveling son says thanks for this! Bought this to clear up desk clutter at work; does the trick!